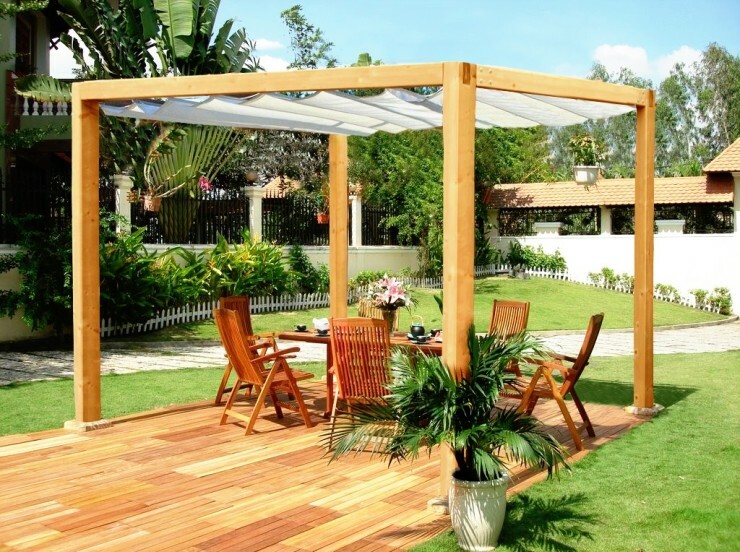 Roman Pergola features elegant and long lasting laminated timber posts and retractable canopy. You can determine how much sun you need at a particular moment of a day. Romantic appeal guaranteed – tested by elites of ancient Rome. 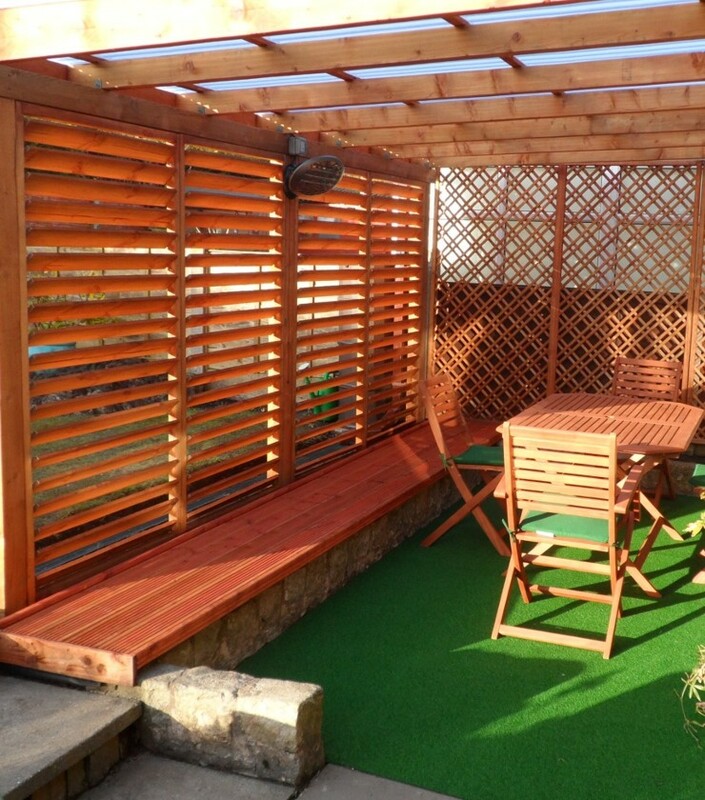 Shutter Panels sold as an option for when you need that little bit of privacy or shade – they can be open or closed.